Hybrid vehicles come in numerous shapes and sizes these days. One of the smaller hybrid cars is the 'city sized' Toyota Prius C, a 5-door hatchback, which is the subject of our extended test drive. Prius C is as nimble as any car we've ever tested. It is currently the smallest hybrid car on the local market. It is also the most economical to purchase. 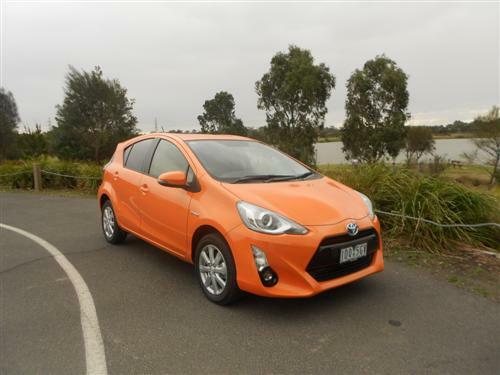 Toyota have two versions of the Prius C on the market. The entry level model is priced from $22,990* and the better equipped i-Tech version is priced from $25,990*. Both versions have an identical drivetrain. 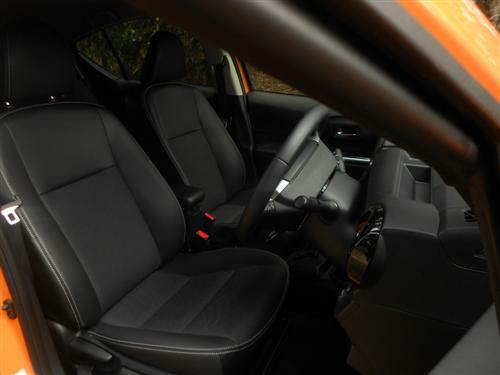 With good visibility, great manoeuvrability, easy entry and egress from the front seats, the Prius C will appeal to those seeking a tiny automotive 'footprint'. Yet, the Prius C still offers a comfortable driving position for an average sized adult and there is reasonable space for two adults in the back seat too. The boot space is a compromise but if the weekly groceries is your typical load for the boot then there should be no cause for concern. We tried to put a standard size wheel chair into the boot. We met with success, but we had to take out the luggage cover and fold-down the split rear seatbacks. This is an easy compromise to attend, especially if it is to be only an odd occasion when you require additional versatility. 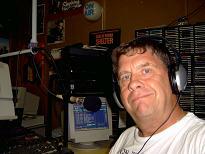 It was difficult to fault to little Prius C because everything was just right. It does it's job quite admirably. 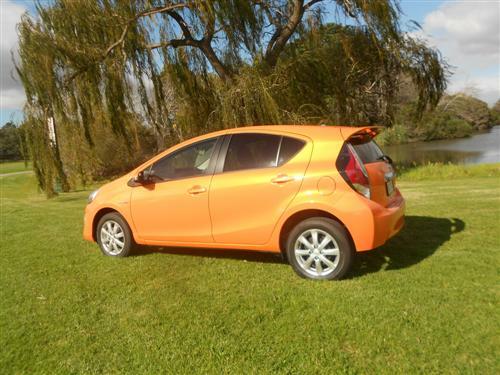 The front-wheel drive Toyota Prius C has two engines - a 54kW 1.5-litre petrol engine and a 45kW electric motor. Torque is a maximum of 111Nm from the petrol engine. A CVT automatic transmission is standard on both versions of Prius C.
The factory indicate the fuel consumption rating for this hybrid car is 3.9 litres per 100 kilometres on the combined cycle. The urban cycle is rated 3.7 litres/100 km and the extra urban cycle is rated at 3.8 litres/100km. The fuel tank capacity is 36 litres. Prius C uses 91RON regular grade unleaded petrol. Standard: iPod, Bluetooth connectivity for compatible devices. The i-Tech version includes satellite navigation. Vehicle stability control, traction control and seven airbags are standard, as is a reversing camera. 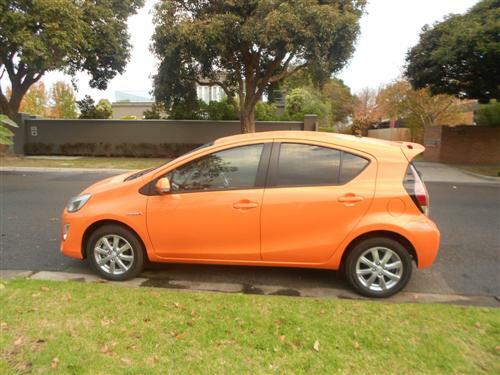 A five star crash rating from ANCAP applies to the Prius C.
Kerb weight: 1,140 kg (approx). 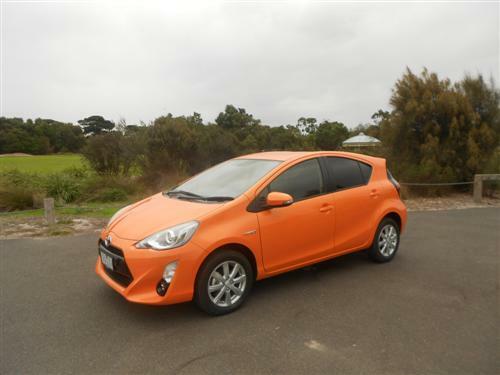 Prius C comes with a 3 year/100,000 kilometre warranty (conditions apply). 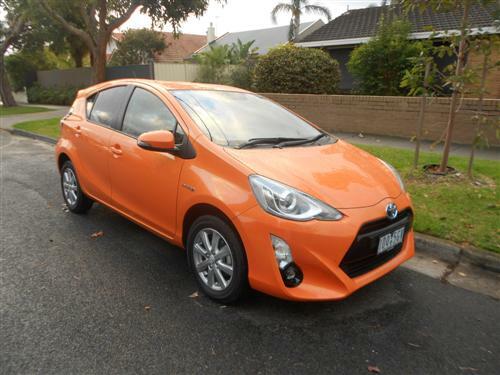 The nimbleness and good visibility made the tiny Toyota Prius C an easy car to appreciate in congested urban areas. The extra equipment in the i-Tech version, as tested, lifted the appreciation level even higher. However, the appeal should be with the minimal fuel consumption. With a fuel consumption rating of just 3.9 litres per 100 kms then it seems as though there is every reason to admire the Toyota Prius C for driving in congested areas.